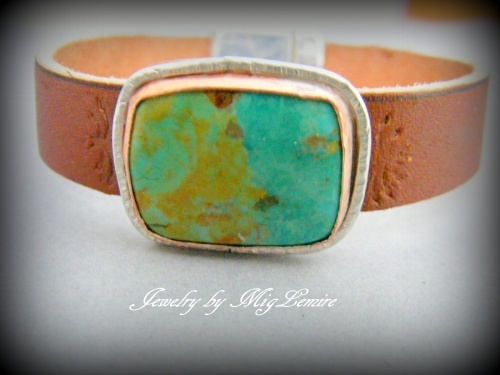 This pretty leather bracelet has a turquoise focal that has been soldered with copper and framed with hammered sterling silver. Leather strap is hand stamped. Piece has a silver tone strong magnetic clasp. Measures 7 1/2".